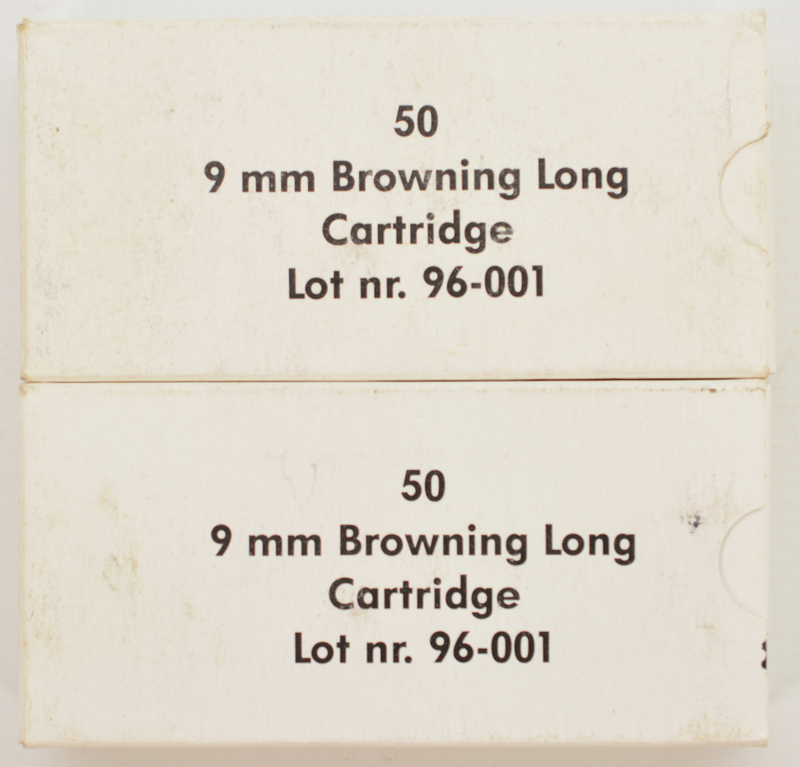 Description: Two full 50 round boxes (100 rounds total) of Bofors Carl Gustaf produced 9 mm browning long ammo. Boxes show shelf wear , some have incorrect retailers label on bottom (wrong caliber), ammo remains bright and clean. This is loaded with round nose full metal jacket 108 grain bullets in brass cases.